28 LISTS Bugs & Creepy CrawliesLists about insects, spiders, and other things you don't want living in your house. List Rules Vote up the insect facts that make your skin crawl. So you think you can handle some gross insect facts? Everyone knows bugs are disgusting, but few dare to peel back the layers of weird insect facts to find the true horrors lurking all around us. Insects aren’t just terrifying, they’re also everywhere. There are about 10 quintillion insects on Earth (that’s a 10 with 18 zeroes), and they’re making more every second. And they’re downright nauseating, as these facts about bugs will affirm. The thing about insects is there’s something for everyone. Not afraid of a horde of ants? Flies probably gross you out. Bees don’t bother you? A roach might still make your skin crawl. When you start digging into facts about insects, you’re sure to find something that turns your stomach. If you have a serious phobia or two, now is the time to face your fears. Here are some bug facts that are not for the faint of heart. Botflies can literally make your skin crawl... because they’re underneath it, making it crawl. These nasty little critters team up with another favorite menace, the mosquito, to make life miserable in Central and South America. The females inject their eggs into a hungry mosquito, and the blood-sucker’s victim gets an extra surprise. The eggs slide into their human host, hatch, and start munching out. Victims can feel them moving around under the skin, and they sometimes require surgery to remove because they have spikes. Does this give you the heebie-jeebies? Cockroaches don’t consume people whole, but they do enjoy the all-you-can-eat-buffet that is the human body. 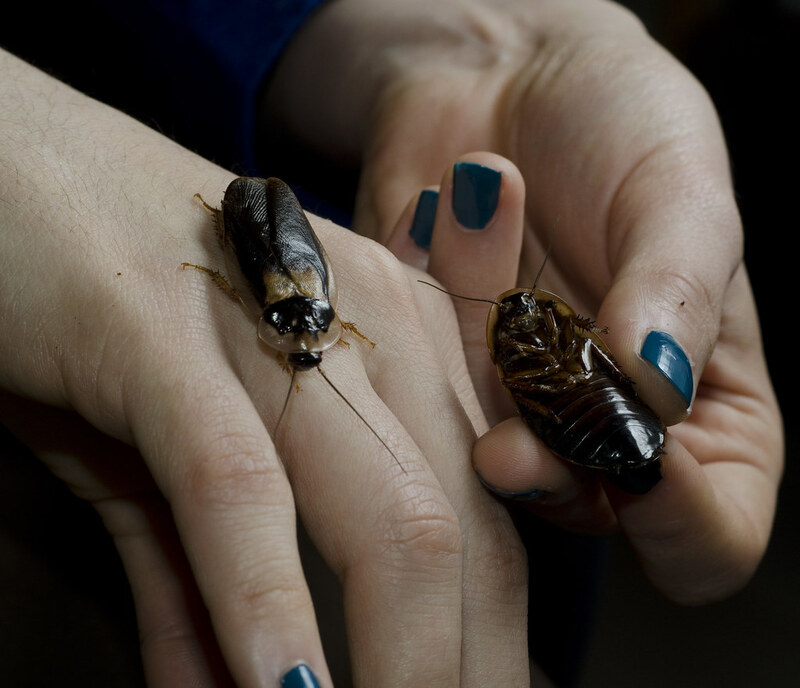 American cockroaches have been known to feed on the toenails, eyelashes, eyebrows, and hair of sleeping folks, especially children. The idea of cockroaches crawling around your baby’s eyes (or yours) and nomming on their eyelashes may make you want to buy roughly 500 cans of roach killer and curl up in a ball somewhere. If you’re like most people, the word “hornet” strikes fear into your heart. So how about a 2-inch long hornet with a quarter-inch stinger? Their stingers aren't just large, either; the sting dissolves your flesh and attacks your nervous system. Thinking of running when you see one of these beasts? Forget it. They can fly up to 25 mph with a range of 60 miles. 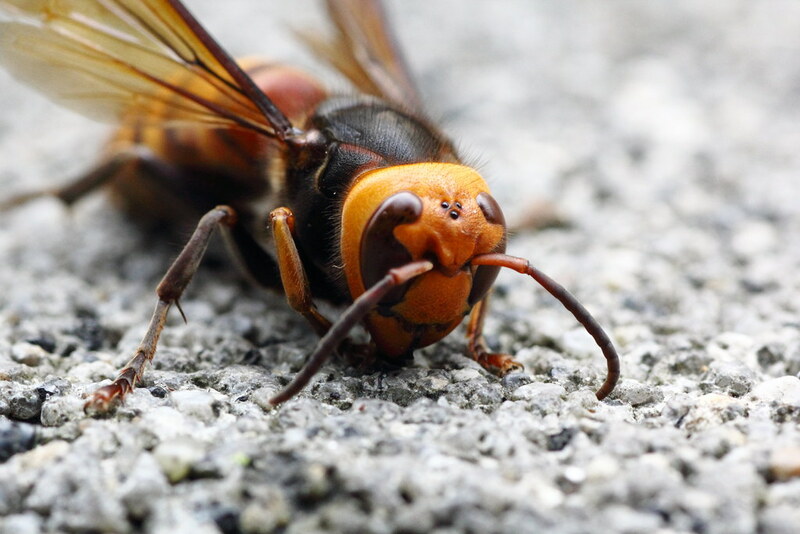 If this hornet wants you, chances are pretty good he’ll get you. Houseflies and Feces and Vomit, Oh My! 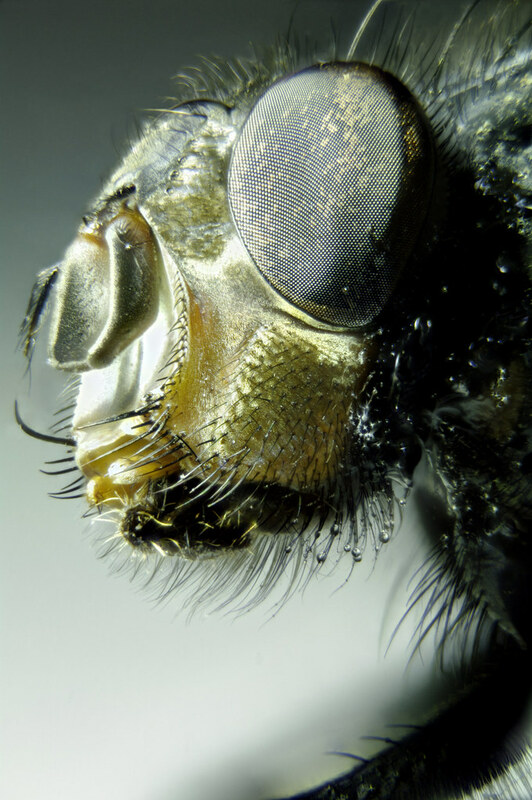 It’s simple, really: Houseflies love feces. They just can’t get enough of the stuff. You’ve seen them walking around in it when you’re cleaning up after your dog, right? Well, keep in mind flies have those sticky pads on their feet - you know, the ones that help them climb walls. And if their sticky pads can help them stick to things, things can stick to them as well... things like poop. And that’s not all. When flies are walking around on your food, they’re not just depositing feces from their feet. They’re also pooping. Constantly. About every five minutes. Oh, and vomiting. They vomit on their food before they consume it.